For family historians the importance of maintaining a clear, organized and accurate family tree cannot be overstated. But finding a program that has just the perfect mix of features can feel like quite a task. Whether you’ve just started researching your family’s past, or are looking for a fresh start, our guide will help you discover the best family tree software program for your needs. You’ll find a quick comparison chart and a detailed breakdown of the top 6 family tree programs available today. When it comes to building your tree electronically – be it online, in a downloadable program, or both – we know there are a lot of great options out there. So many, in fact, that it’s easy to become overwhelmed by your options. But don’t let this overabundance of choices get in the way of finding your best family tree program. To begin narrowing down the competition, you’ll first need to assess your individual needs. What do you need (and want) your family tree software to do for you? What are your special areas of concern? Are you looking for a free family tree program, or are you willing to pay for the right software? Do you want to download software to your home computer or would you prefer to keep your tree online? Maybe you’d like to do both? What are your feelings about keeping your family tree private? Is the privacy of your tree an absolute must or are you happy to share your work in progress with others? Does it matter to you who owns your online family tree? Are you looking for just the basics in a family tree software program? Or would you like to have access to a wide array of special features and fun extras? Do you want a tree-making service that allows you to search extensive records collections that are integrated right into the program? How about one that provides you with helpful hints and matches that encourage you to grow your tree? Or one that syncs with Ancestry.com or MyHeritage? Would you like to be able to easily share your progress with others and invite them to collaborate with you on your tree? Do you need access to a selection of printable and shareable charts, reports and maps? Or the ability to easily create a website dedicated to your family’s history? What level of user support do you need? Would you like your tree program to include extensive help pages, free learning centers or peer-to-peer forums? Once you’ve asked yourself these basic questions – and identified what elements will make up your best family tree software – you can begin the search for the right program. 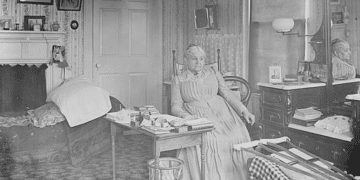 We’ve put together a breakdown of six popular family tree programs, some which are available completely online and some that you’ll download to your computer. You’ll learn about their basic features, what they cost, the type of privacy they provide, and hear about a few pros and cons for each. We have not chosen a favorite here because, the truth is, no single tree builder is perfect for everyone. Our top choices are listed below in no particular order. Start with the simple comparison chart of every family tree program on our list, and then scroll down to read all of the information in our detailed guide. Some of these family tree options are free, such as Ancestry and MyHeritage, but are so integrated with their own paid record hints and searches that is can be distracting or difficult to complete your research if you do not intend to consider a paid subscription. You might consider taking advantage of a free trial of their record subscriptions before committing to their tree. Other programs, like RootsMagic 7 and Family Tree Maker 2017, are available for a one-time cost but may require you to pay to upgrade to a new version in the future. Keep this in mind when choosing the program that best fits your needs. Update: For a great free option we did not include in our guide consider reading our new review of RootsFinder. If you need help downloading a GEDCOM and moving your tree to a new program read this article. Please know that we have teamed up with many genealogy companies to bring you news and updates about their services. We may earn money to support our site if you make a purchase through links found on this page. This helps us support our work but does not influence our opinions in any way. 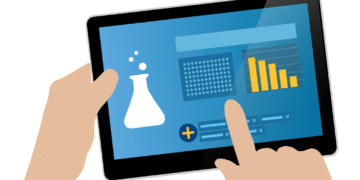 Our goal, first and foremost, is to help you make informed decisions to benefit your research. 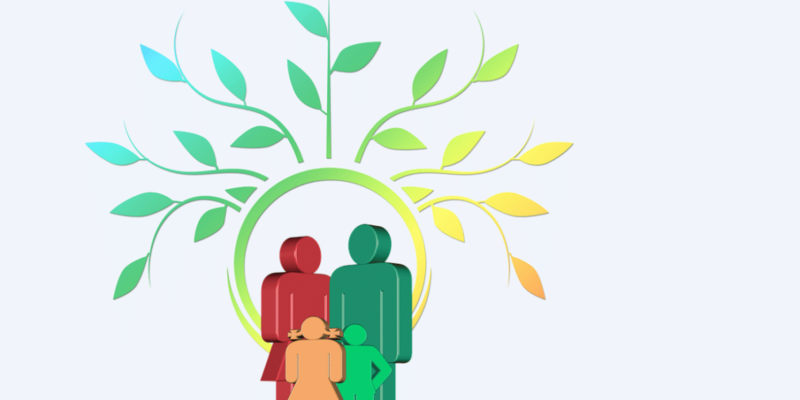 Honorary Mention: Since publishing this guide many of our readers have written us about their love of the Legacy Family Tree program, which we did not include in this guide. You can take a look at that option here. FamilySearch, keeper of the largest collection of free genealogy records in the world, would seem like the perfect place to host your personal family tree – and for some it is – but if you’re considering starting a tree on FamilySearch there are a few key points to keep in mind. First off, if you’re looking for a traditional, private tree building experience you probably won’t find it here. Why? 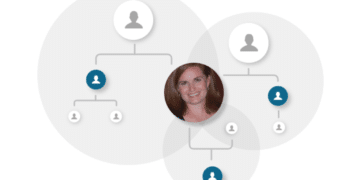 Well, Family Tree by FamilySearch is a collaborative tree: in other words, everyone works together on one giant, shared tree (everyone can edit entries) and only certain elements (like details regarding living people) can be made private. Some people love this, others do not. Some features, or additional features, may be limited to LDS members. 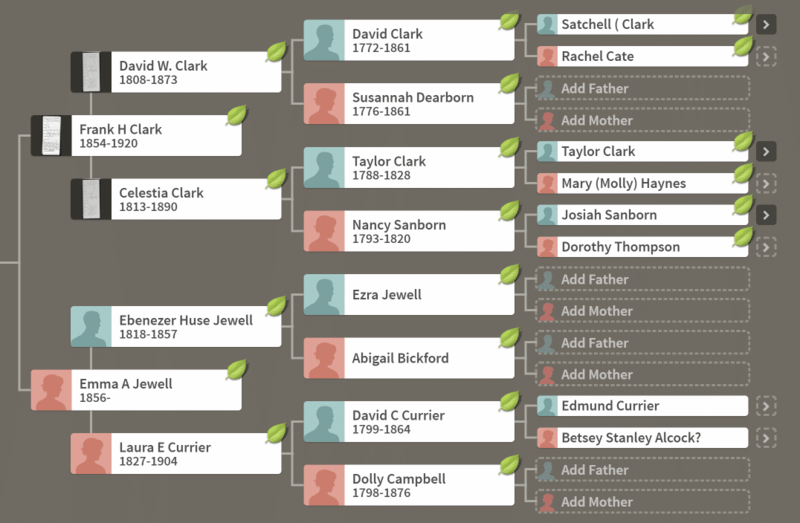 The obvious high-point of this family tree tool is that it’s made by FamilySearch. Building your tree here will give you a comprehensive, all-in-one experience: a place to research billions of free historical records, collaborate with other genealogists from all over the world, take advantage of a huge family history learning center and grow your family tree – all without ever leaving FamilySearch’s site or paying a dime. If you prefer to keep your tree, and all of its associated research, private – or you’re uncomfortable with the concept of sharing editing control over individual profiles in your tree – you will want to look into other options for building your family tree. Additionally, the lack of the many extra features found in desktop tree programs may deter some users. You are also unable to upload a current GEDCOM to your family tree. 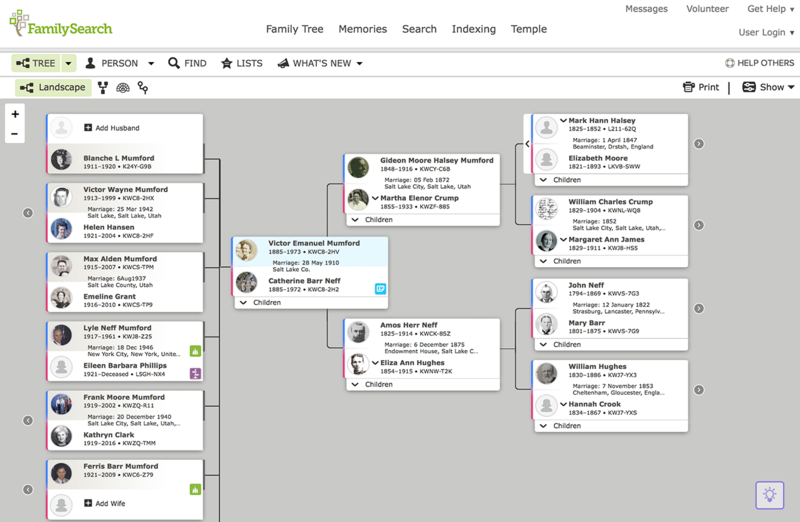 Family Tree from FamilySearch is a great choice if you’re looking for a place to collaborate with others on one collective family tree – to help others with their family history research while also furthering your own. If, on the other hand, you’re looking for a tree maker that allows you complete privacy and control, or includes every extra feature imaginable, you may want to consider other options. 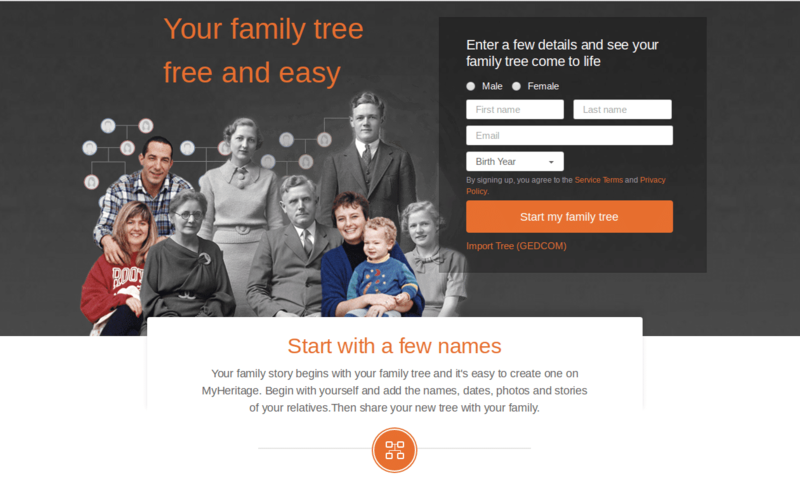 Family Tree Builder, the tree making program from MyHeritage, is unique in that it offers users an online and downloadable version, as well as a mobile app, meaning you can easily sync across all devices. While you’ll need a data subscription to take advantage of their “Super Search,” which accesses MyHeritage’s database of billions of historical records, the online, desktop and mobile versions of the tree builder are completely free. They offer some very robust tools and an advanced way to integrate your family tree with DNA results. MyHeritage sells DNA kits here or you can upload raw DNA data from any other provider for free here. This is one of the most compelling reasons to use this tree program since their unique genealogy-focused DNA research system includes a beautifully designed and easy-to-use way to understand how you are connected to your genetic cousins. MyHeritage also recently added a chromosome browser. This free offering from MyHeritage comes with a variety of features great for any family historian. For starters, it includes a private family site that allows you to share your research with family. Then there’s the ability to conveniently sync between your online and offline trees, as well as a handy mobile app that lets you update your tree virtually anywhere. 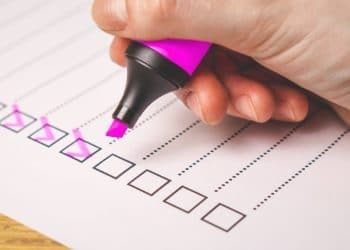 We especially love the consistency checking feature, which scans your tree for inconsistencies or mistakes in your data and lets you know so you can fix them. It also syncs with their advanced DNA research center. The main drawback of this tree builder is the need for a yearly data subscription in order to take advantage of MyHeritage’s integrated search – and while you will receive their hints for free, you’ll need that same data subscription to view the actual records being suggested (this setup is not unique to MyHeritage – Ancestry, for example, follows the same model). The same kind of restrictions apply to the free family site, which will require a separate subscription to access features like their online tree consistency checker or to facilitate a larger family tree. Luckily, MyHeritage pricing is very reasonable when compared to some other subscription services and they have a 14 day free trial so you can take it all for a spin at no cost. 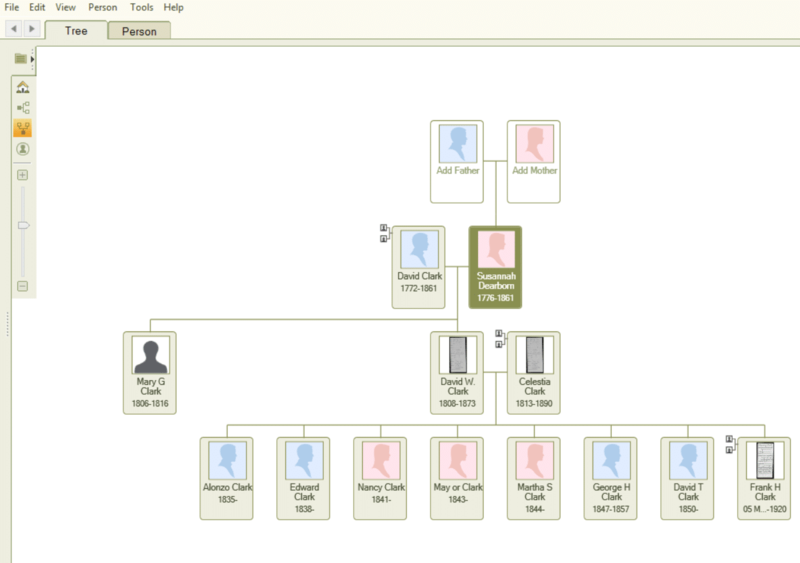 There’s a lot to love about Family Tree Builder from MyHeritage. With strong privacy capabilities, fairly attractive layouts and easy syncing and sharing, the free features (of the online, desktop and mobile versions) will provide you with a solid foundation on which to grow your tree. You can try a record subscription free for 14 days and get your offline or online tree all set up at once. If you decide not to keep your subscription you can still keep your tree for free, but will no longer be able to access new records. 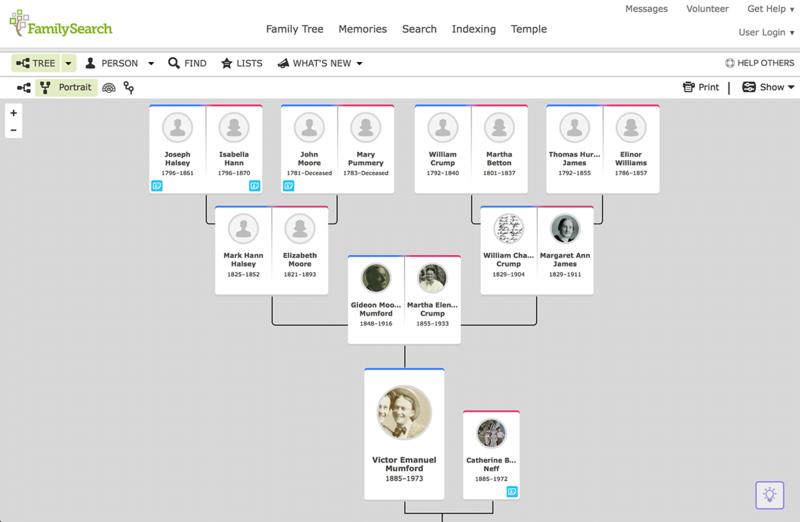 If you’re looking for a totally unique way to grow your family tree, and you love the idea of sharing most elements of your tree with a huge community of other genealogists, WikiTree may be the perfect place for you. The goal of WikiTree is to create one – that’s right, one – family tree that connects everyone, everywhere. As you may have guessed, the key here is collaboration: WikiTree is a community – users can view and even edit profiles from across the shared tree. At present there are over 15 million individual profiles. Even with WikiTree’s community-oriented approach, users still retain the ability to control certain elements of their tree’s privacy by creating “trusted lists” for living and recently deceased relatives. Another major plus? WikiTree strives to validate its giant, shared tree with DNA results – so once you confirm that you’ve taken a DNA test from any provider the site will provide you with DNA-based matches (over 3 million profiles are DNA-verified) to help grow your tree. The method is quite different than the advanced family tree and DNA integrations you will find on MyHeritage or Ancestry however. And of course, the beauty of this large, collaborative family tree is that you get to benefit from the work of others and help them expand their own family trees in return. And you’ll find a wealth of different informational views. The obvious downside here is the lack of complete privacy and control over your entire family tree, and the limited set of tools. 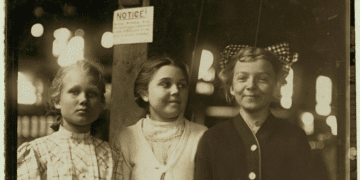 If you can’t imagine sharing almost every element of your family tree with a community of nearly half a million other genealogists than WikiTree is not the place for you. And, since this isn’t your typical tree building platform, you won’t find much when it comes to pretty, printable charts or reports. The mission behind WikiTree is an amazing one: to create a free and accurate family tree that connects the whole world and is accessible to all: but an open, collaborative environment is not for everyone. If your concerns about privacy – or a desire to have the final say on each entry into your tree – are more pressing than the possible benefits, you will want to look elsewhere. Do keep in mind that privacy is a complicated matter, and the fact that WikiTree is noncommercial, like FamilySearch, means less chance that your data will ever be sold for profit (as happens on many paid subscription sites). You may not be able to keep your tree private but you can know that at least it is free and open to all. If the idea of working together with other family historians on their trees – while at the same time welcoming them to help you expand your own – sounds appealing, WikiTree is the perfect place to do just that. 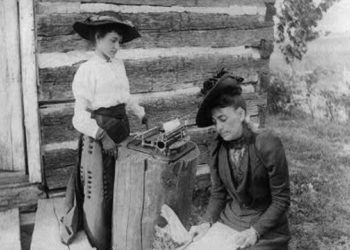 This family tree building program has been a favorite of genealogists for years and there’s a good reason for it. When it comes to downloadable tree creators, RootsMagic 7 has some exciting features that you won’t find anywhere else. Namely, the inclusion of RootsMagic Essentials: a pared down – and completely free – version of the popular software which provides many of the basic features included in the paid version. You can compare them here. 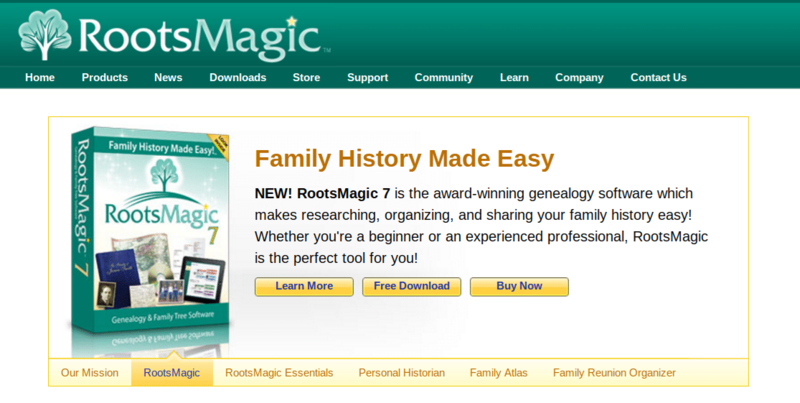 Because RootsMagic 7 and Essentials now sync with your Ancestry tree this program is a good alternative to Family Tree Maker for those who are not happy with the current offering. When it comes to the high points of RootsMagic, there are almost too many to name. Whether it’s the excellent integration of popular databases, the ability to sync with Ancestry’s online trees (a huge bonus for many), the large variety of printables and maps, the easy to publish personal website or the dozens of other little things that make this program so comprehensive – there’s a lot to take advantage of here. Besides the cost, the biggest thing you’ll want to consider is RootsMagic’s very basic visual appearance. It’s not very modern and the small text can be hard on the eyes. Unlike many other programs, this tree program’s bland look may leave some feeling as if it’s a bit outdated (although it certainly isn’t). And, of course, as with any desktop software, users must have a device running on Windows (or Mac) to use RootsMagic 7 – a major drawback if you primarily use a tablet or Chromebook to do your genealogy research. They do offer a mobile app but it is read-only so there is no editing your tree, and the Android version is known to not work properly on many devices. It also does not sync with your offline tree, showing changes in real-time. Rather, you will need to upload a file from your offline tree to view it on mobile each time you make a change. For this reason, you will only be able to do research on your computer unless you choose to sync with an online tree from another source. If you’re in the market for a downloadable family tree program with a ton to offer at a reasonable price, and you don’t mind a pretty basic design, RootsMagic is a great choice. Don’t want to shell out any cash? Consider trying out a basic version of the software (RootsMagic Essentials) completely free. You will still get many of the core elements that make this tree builder so desirable. All in all, with RootsMagic 7, expect a feature-rich package no matter your budget. 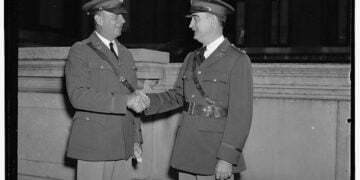 Perhaps the most well-known provider of online family trees, Ancestry.com has been helping family historians research and build their family trees for decades. Ancestry currently hosts over 90 million trees and features over 20 billion records (most of which are from the U.S.), though the vast majority (but not all) of these records require a subscription to access. It’s these features and more that make Ancestry’s online tree a favorite for family historians of every skill level. Some printable charts, reports, etc. When you choose to host your tree with Ancestry, you’ll enjoy a seamless connection between your tree and the massive databases found on the site. In addition to billions of records from 80 countries, Ancestry will scan their millions of public family trees from other members and give you hints to help you grow your own tree. A very attractive and modern layout is easy to read and the convenient mobile app and an array of features round out this solid offering. As with any paid site that provides free family trees, you’ll need to subscribe to a plan with Ancestry in order to take full advantage of features, such as the integrated search and access to most record hints. And, while the Ancestry tree making tool is integrated with one of the largest databases of easily accessible historical records out there, you won’t find the same wide range of extra features (like customizable and printable charts or reports) that you’d find with a desktop program. If you’re already an Ancestry subscriber, taking advantage of their free family tree may feel like a no-brainer. 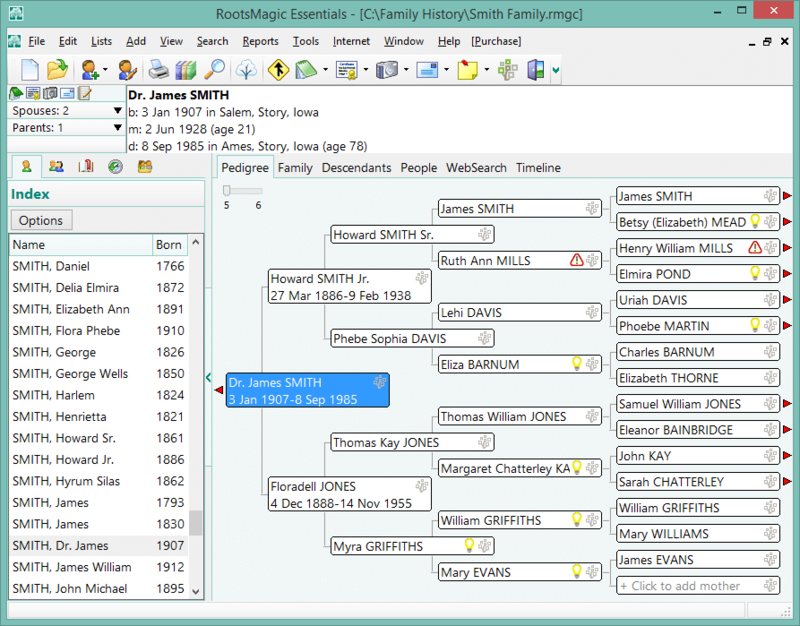 Since it easily syncs with both Family Tree Maker and RootsMagic 7, it’s a great choice as an online tree for those considering (or already using) desktop genealogy software. On the other hand, if you’re simply looking to make an online tree, and you don’t plan to subscribe to Ancestry anytime in the near future, there may be better options out there. As with MyHeritage, seeing hints that you cannot access can be frustrating and every aspect of their site in designed to encourage you to subscribe. 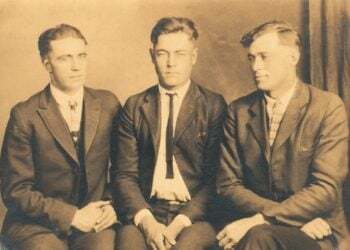 Their prices are also more expensive than some other genealogy research sites, but access to so many records is often worth it. Family History Daily offers an unofficial online course on how to make the most of Ancestry and its family tree here. 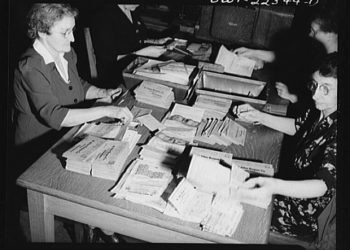 Also read our cautionary article about “saving” data to your Ancestry tree. This well-known genealogy software has been used by family historians for decades. Previously owned and supported by Ancestry, Family Tree Maker was acquired by Software MacKiiev (maker of the Mac version) when Ancestry discontinued support. Since then, the road to a new version has been long and winding – but in 2017 MacKiev followed through on their promise (after months of careful testing) and released FTM 2017. FTM 2017 builds on its former incarnations by refreshing existing tools and debuting some new ones – including a new Ancestry tree syncing feature. Overall, Family Tree Maker 2017 is an easy-to-use and comprehensive tree building software. It goes beyond the basics with many extra features like a built-in, lightweight photo editor, a helpful color-coding tool and themed backgrounds for printing. 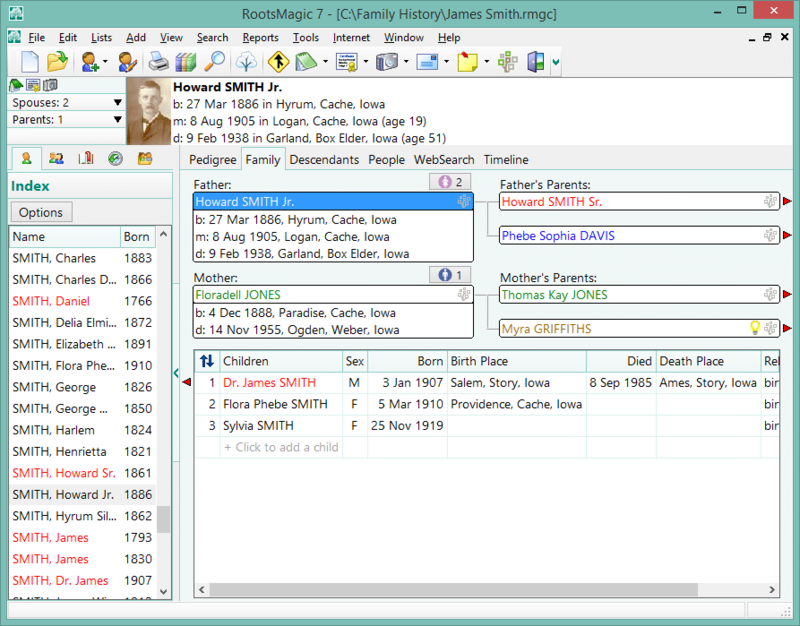 This newest version of FTM also features “FamilySync,” a technology that allows users to easily sync up to three copies of FTM (from three different computers) to one Ancestry online tree. Even with all of its bells and whistles, FTM 2017 is a bit on the pricey side at just under $80. Also, as with any software program, your device must meet certain system requirements (in this case you’ll need at least Windows 7 or X 10.9 for Mac) and, unlike online tree programs, FTM cannot be used with common devices like a Chromebook or a tablet. As with RootsMagic, you will only be able to do research on your computer unless you choose to sync with an online tree from another source. Family Tree Maker 2017 is an all-around great choice if you’re looking for a downloadable tree building program that gives you good integration and plenty of extra features. However, you may want to look elsewhere if you’d like to create a family tree on a tight budget. 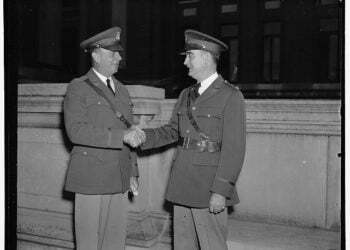 Online: If you use a great deal of UK records you will want to consider FindMyPast. They have an attractive, powerful tree that provides hints from records on their site (subscription required). Sign up for a free family tree here, or they also offer a free trial subscription to their record collections. Desktop: Legacy Family Tree 9 or Family Historian 6 which are both desktop programs many people like. They are worth a look. So, there you have it, our top picks for the best family tree software and online programs. And remember, you don’t have to choose just one option. Since many desktop family tree programs sync with online trees – for example, RootsMagic syncs with Ancestry’s and FamilySearch’s trees and – you can take advantage of the features of both types of trees and have the best of both worlds. While we did our best to cover all the major features of each family tree program, this is not an exhaustive breakdown of each program or its capabilities. In addition, there were some very basic features that were shared by all of the tree programs – such as the ability to import/export a GEDCOM or to attach photos/records/notes to an individual’s profile in your tree – that we chose not to include in the reviews. Please visit the site for each individual family tree program for complete details on features and capabilities. Thank you to Kate Jackson for her hard work making this comparison guide possible. Why was Legacy Family Tree left out of the comparision? It is one of the top and best software programs. Legacy Deluxe 9 is fabulous. Ancestry.com has gotten lazy in the recent past in my opinion. Especially frustrating is the new “Relationships” feature….they have my mother’s 1st husband (who is the father to 4 of my 1/2 siblings, so that is why I have him showing in my tree) listed as my “stepfather” !!! and NO way to remove that. In the same vein, my father had a daughter with a woman he never married, before he met & married my mother…another 1/2 sister, whom he acknowledged he was the father of & supported until he died, & she received SS & VA benefits the same as me when he was killed in a nasty car wreck when we were very young…..her mother is listed as my stepmother!!!! Again, NO way to remove that title….I called Ancestry (months ago) & suggested that they put a listing “None of the above” or something & a box for an explanation…..they act as if no one ever had children/relationships/marriages with more than one person or at least only in a certain order. BTW – I HAVE a stepfather, my mother’s 3rd husband after she was widowed. I would like to see dates for when articles are posted so it is clear how up to date they are. “Reunion does not have a feature specifically for tracking DNA results. I’d say that is a pretty quick response! And since you can include live links in those fields, that is a way to link your online DNA results. I don’t know if there’s a way to link DNA results. I’ve queried LeisterPro because I’ve only recently received my results. One more thing: they are very responsive to requests for help. Purchased the download of Legacy last week and it has fantastic charts to print. Uploading a GEDCOM file from Ancestry works great. Learned a few things like always put a period after an initial. The downside to Legacy is that it doesn’t sync to Ancestry so you don’t see DNA matches and it will NOT IMPORT pictures or attachments from ANCESTRY. Also if you make updates on your Ancestry file, you have to create another GEDCOM file to upload to Legacy. I liked the colorful reports, charts and many features and hope they can make some agreement with Ancestry. I haven’t tried Roots or FTM – I purchased Legacy based on user reviews. I was disappointed with the interface and they promptly refunded my money. I don’t like that Ancestry monopolizes the data that if your subscription runs out, you can’t access records attached to people on your tree. I was hoping for a program that would port that over to my computer so I didn’t have to save each individual piece. I have been using RootsMAgic for over a year. It is one of the few programs that seem have no limitation as for number of people in the tree with trees as large as 300,000 common. The one limitation is with large trees with lots of media it does seem to have a limitation. The average user will never see that. As for program stability I give it a C-. Plus their tech support can be hard to work with. I like my FTM but reading these comments makes me think I have paid for the wrong program. I am using ver. 2014.1 and I like it a lot except some thing have changed from prior versions that seem to have disappeared or have given you a new learning curve. 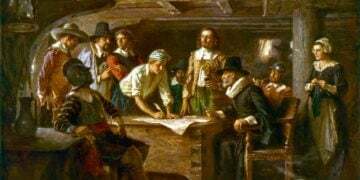 In addition to adding new names I have found more documents on ancestry so I have included a wealth of extra info in my notes in FTM. The research is harder than the database program. I fully Agree I loved FTM until 2014 and now it is a dead product but FTM2017 is now avaliable for a fee and may was upgradeable for no charge. I am amazed you have not included Legacy Family Tree. It’s FREE (for the standard version, which is all many people require). It gives you ownership of everything you enter, because it’s on your own computer, and no one else can change it (as they can at FamilySearch). You don’t lose access to your years of work when you stop subscribing to a paid service such as Ancestry or MyHeritage. 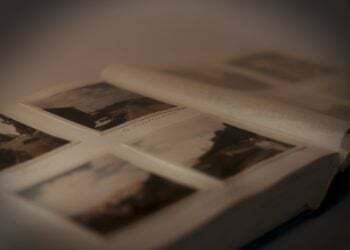 Legacy provide lots of training videos — not that you need much unless you’re an absolute beginner to genealogy, because it’s pretty easy. There are numerous reports available, which can be tailored to do many things. I used about 6 other programs including FamilyTreeMaker before settling on Legacy, and I’ve used the Deluxe version through 5 versions, now up to Version 9. I recommend it to every new genealogist I meet, so they can start entering their family details right away before investing a lot of money elsewhere. I’m a little late replying to this Nancy, but since My Heritage bought Legacy, it looks like they don’t want it mentioned as a separate entity. I love my Legacy and had a bad experience with My Heritage a few years back. I have turned off their hints in Legacy. I have used Reunion for Macs for years and find it meets all my needs. 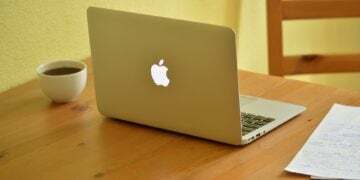 If you use a Mac computer you should consider it. I use Legacy 9 have been for years and it is superior to the other programs Free download and $30 to update to the Deluxe Edition. A touched biased to say the least! 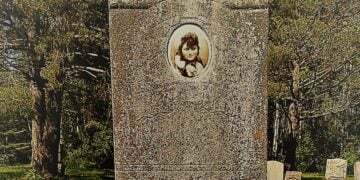 If your family tree is on a ‘pay site’ your tree is non-accessible when you stop paying! With Family Search others can change your data! FTM is in a time warp! Roots Magic is listed but other good to reasonable programmes are available but not mentioned. I still use TMG, unfortunately no longer supportable, but still the finish family tree programme ever developed. 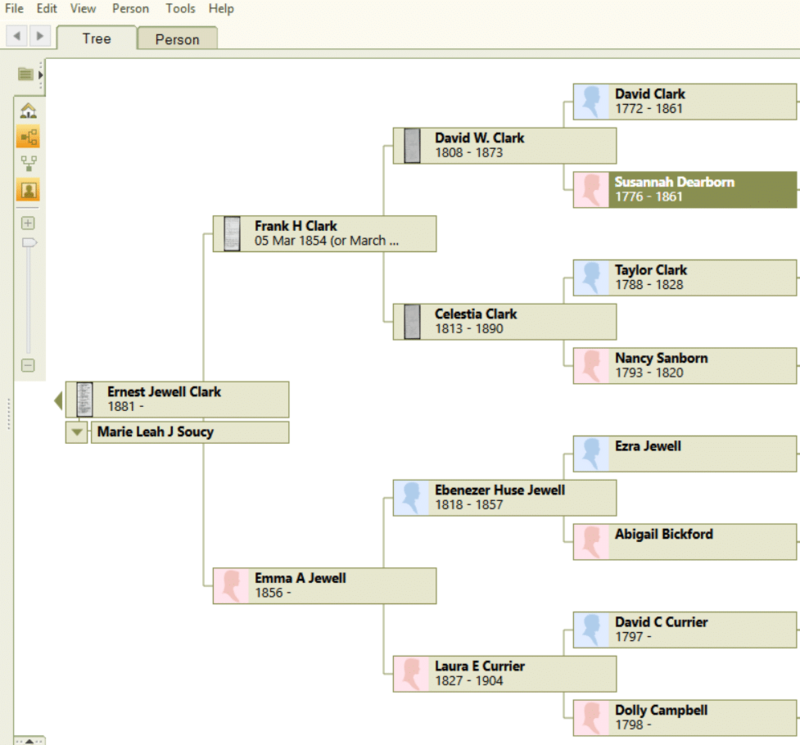 Several years ago I switched from Family Tree Maker to Legacy Family Tree. How is it they aren’t on your list?? Legacy is so less complicated than FTM. Attempt to upload a family tree in GEDCOM format to ancestry.com and you will get a suprise. As of October 2017 they deleted trees they felt were unreliable because they were not attached to ancestry.com’s online records. For years I did my trees and updated trees offline and uploaded a GEDCOM. The GEDCOM format has sources but no way to include ancestry priority record links. The point is my 11 trees which are fully sourced and were used by other researchers is gone. The are not viewable in the public tree search and are not searchable. Most of these programs for making trees makes GEDCOM files for exporting to genealogy sites like ancestry. Ancestry will require each name to be linked to their records. My one tree has 14,000 names, and Ancestry told me they had to be linked or they would not be searchable. So don’t plan on sending a GEDCOM to Ancestry. So all these programs are under attack by Ancestries priority tree site. That also applies to Legacy which I use and is a great family tree program. PS. 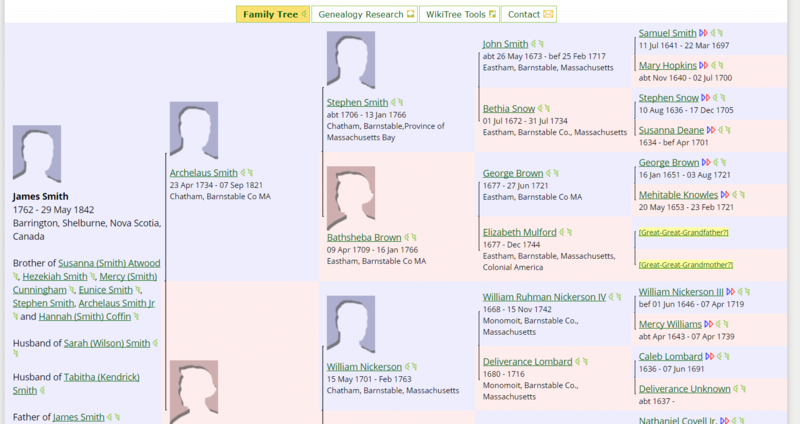 Rootsweb has returned the the family trees. I found the same thing when I uploaded the gedcoms for the trees of people whose DNA I manage. I too made the discovery that they were not searchable nor viewable in public tree serach. What a let down and really quite sad. You aren’t told that when you decide to upload a gedcom. What a joke the Ancestry site is sometimes and yet we still pay for it. I have used several of the options listed, and chose Legacy 9 as the most satisfactory program for my purposes. I am curious why it was not included on the list, as it has been reviewed elsewhere as a top choice. There is a robust free version, and a paid version with even more features. What about Legacy? I’ve used most of these, but chose Legacy & use it every day. I use the feature that connects to the FamilySearch tree & use them both in conjunction with each other. What the????? Why is Legacy 9 not on this list?????????????????? I would like to see a non-biased report on Legacy 9, rather than paid commentary supporting Family Tree Maker, which for many seems like its still in BETA. Why is Geni not on this survey? I would like to see your analysis of Ancestral Quest. I use it as a collection device so I can compre data from Familysearch, Ancestry and Heritage. It works great for validating information before uploading to Familysearch. It also allows downloads from Familysearch.